Technically, Memphis is a barbecue town, but that doesn’t mean we can’t excel in other areas, like fried chicken. 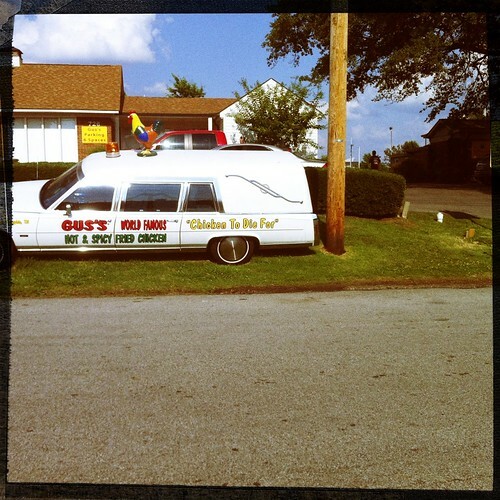 Assignment #156 in the 365 Things to Do in Memphis is to get some world famous hot and spicy chicken from Gus’s. Most places that claim to be world famous usually aren’t (ahem, Poplar Lounge), but Gus’s is the real deal. 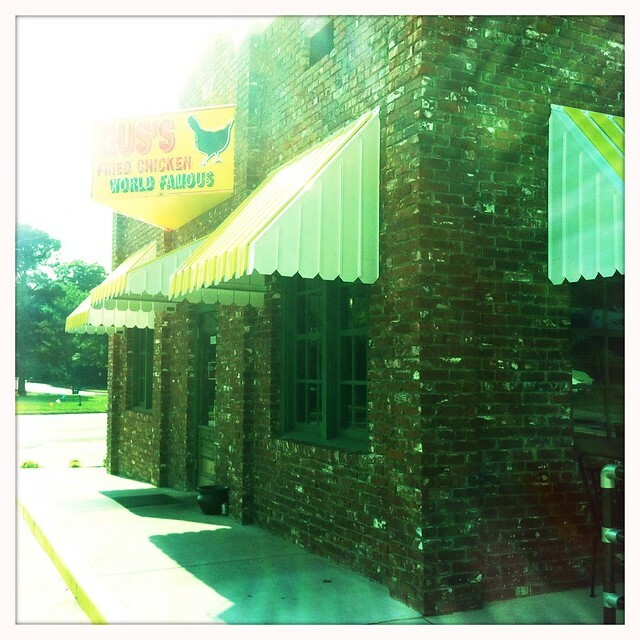 The restaurant grew from a narrow shack in Mason, Tenn. into a local fried chicken juggernaut with six locations around the city. It’s been featured on tons of food shows and in magazines and newspaper articles, and judging by the crazy lines outside of the downtown location, it’s not exactly a secret among tourists. Though Gus’s has expanded their menu a bit as they’ve opened new locations, stick with the classics and order the chicken. Specifically, take a friend (or two) and order the eight piece family meal, a glorious pile of crispy-skinned hot and spicy fried chicken served with a few triangular slices of white bread and big tubs of slaw and beans. You’re going to need napkins – lots and lots of napkins. Pro tip: though the downtown Gus’s is classic, it’s also insanely crowded most of the time (even during non-regular meal hours). The other locations use the exact same secret recipe and batter and have much shorter waits. This post was originally published on June 4, 2012. Funny, I just read this today, but we did exactly this last night.